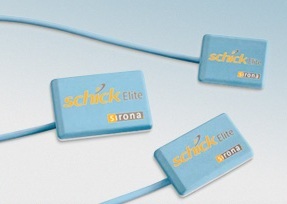 Introducing the Schick Elite, which combines truly outstanding image quality, an easy-to-use design and a robust, hard-wearing construction, to provide an intraoral radiography experience that is truly Elite. Schick Elite is the result of years of development, with input from the world's largest digital intraoral radiography customer base and one of the most extensive field testing programs. Schick Elite images provide bold bone trabeculation, crisp lamina dura and a clear, clean DEJ to meet the diagnostic needs of every clinician. Developed with guidance from a panel of leading dental radiologists and validated by an extensive range of dental practitioners from all fields, Elite takes Schick's commitment to optimum quality for diagnostic imaging to a new level. View sample images below.